Clarisse 3490 is a dress with a secret: it�s actually two styles in one! 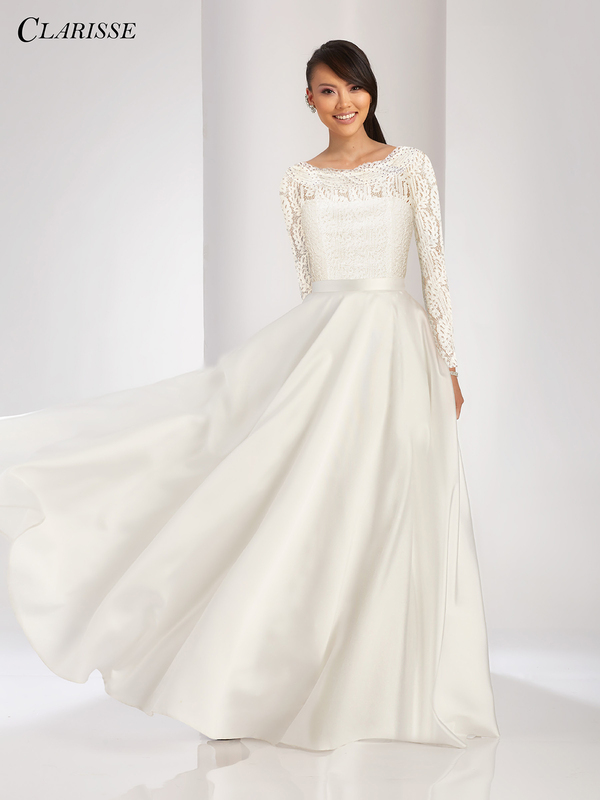 A full, flowing satin overskirt hides a chic little white lace cocktail dress for a quick changing style that you can mix and match. The cocktail dress features a scalloped edge boat neck and long sleeves. This style would make a unique bridal gown; wear both pieces for the ceremony, then remove the skirt and dance all night at the reception! Available in sizes 0 through 24 (Sizes 18 and up are an additional $25).